According to the Mirror, Benfica could agree a deal with Manchester United for Matteo Darmian, with the 28-year-old ‘willing to listen’ to offers. 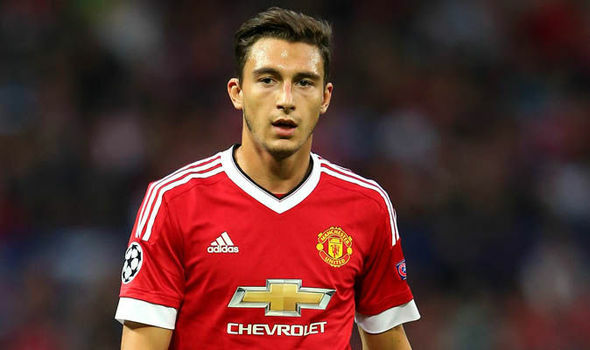 After struggling for form and playing time last season and looking likely of being behind Antonio Valencia and new-boy Diogo Dalot at right-back ahead of the new campaign, Darmian is seeking a move away from Old Trafford in pursuit of first-team football. The Italian international, who has represented his country on 36 occasions, joined United from Torino in 2015 and has gone on to make 85 appearances in all competitions. Darmian has won the Europa League, FA Cup and EFL Cup during his time with the Red Devils, but he wants out this summer after making only five Premier League starts in 2017/18. Valencia is staying at the club at least until next summer and Dalot has been signed to prove cover and eventual competition, so Darmian has no chance of dethroning the pair. He’s not content to sit on the bench either and will no doubt be hoping a deal can get done that allows him to exit Old Trafford before the transfer window shuts in a few days.